There has been nothing quite like these surveys before or since. 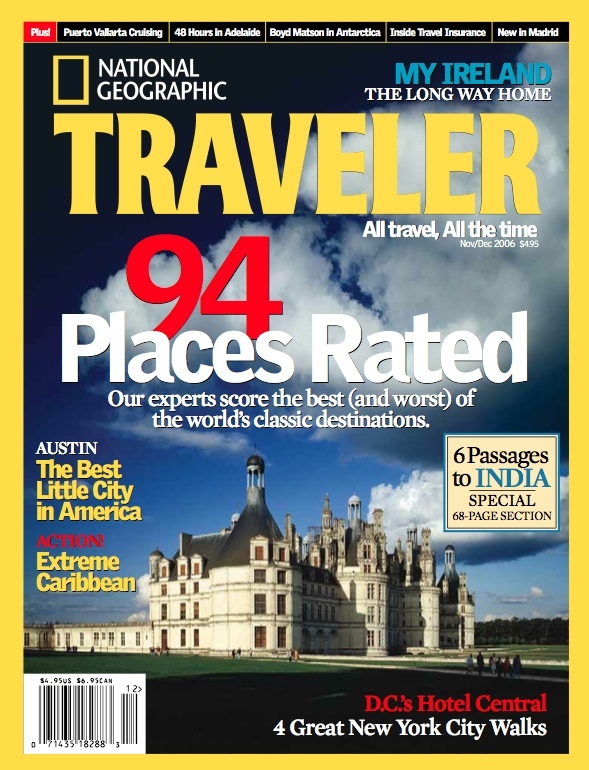 For seven years, 2004-2010, National Geographic Traveler published landmark Destination Scorecard surveys, providing stewardship scores for hundreds of places around the world. Only now is the Europe-based Green Destinations Partnership moving toward completion of a global destination-stewardship database that can be seen a possible successor. Download this pdf to see all 440 destinations and grades listed by country. Note—These letter grades interpret some 80% of the numerical survey scores reported by National Geographic (weighted to favor the more recent scores). The Destination Stewardship Center has applied these grades independently, and we take sole responsibility for them. For the original numerical scores, consult the appropriate links to National Geographic. These grades now need updating. Stewardship in many destinations remained steady over the course of the surveys and probably still does, but other destinations have experienced significant change since 2010. If you are seriously interested in the welfare of any destination on the list, please contact us. We’ll provide a survey form. Once we have enough responses, we’ll report the updated grade. You can also offer a comment at any time. NEW QUESTION: Should the Stewardship Surveys resume in some form? Funding for these surveys stopped in 2011. Some people have asked for them to resume, possibly under sponsorship. Do you agree? Why? Please comment with any examples of how a survey score did, or could, make a difference at the destination level. Contact us concerning potential survey sponsorship.